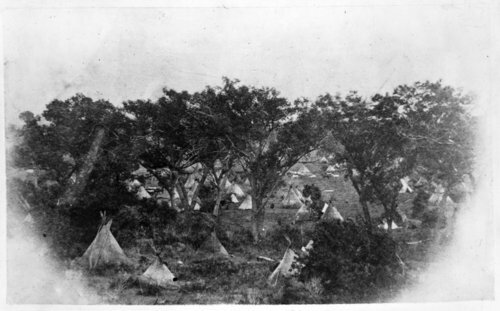 This is a photograph of a Cheyenne village on the Washita River, Indian Territory. Horses are also seen in the center right of the frame. Funds for digitization provided by Mr. Steve Peckel in memory of William Chalfant.